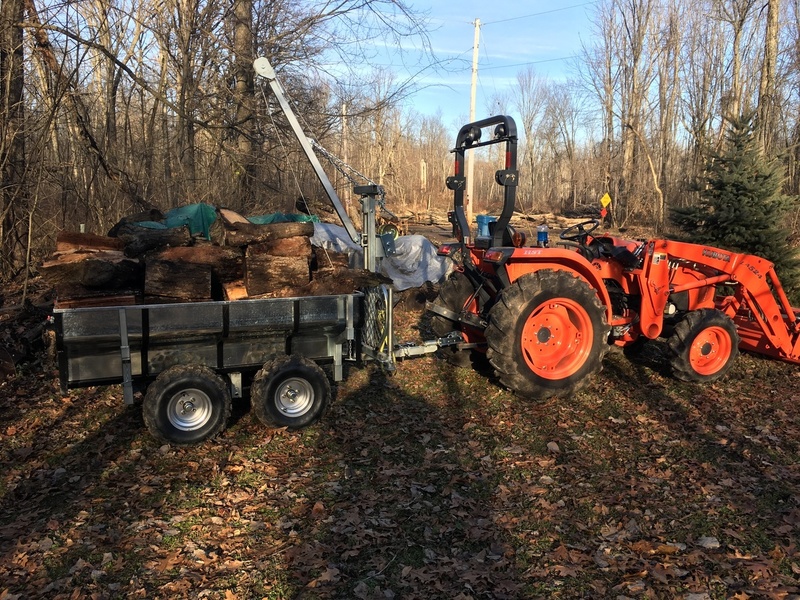 Works well, great for hauling firewood. It’s an amazing product. We have done some works on correcting forest road and also log’s cutting . Good product at good price. The T-Rex is a BEAST! Well built, extremely tough in rough terrain. 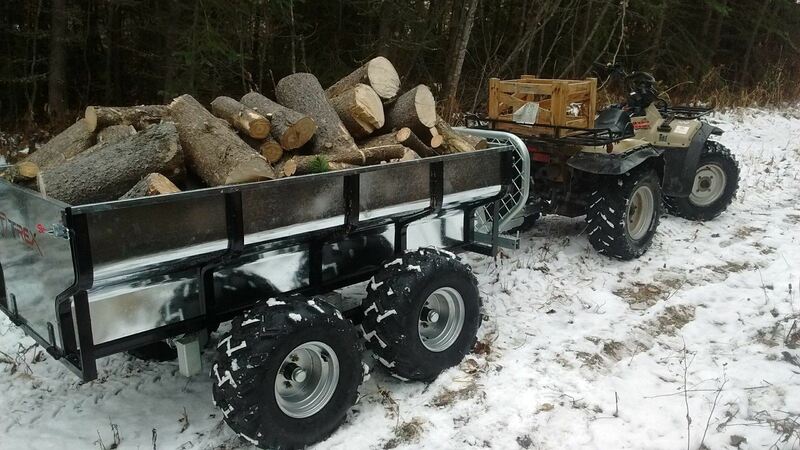 Makes hauling big logs easy! 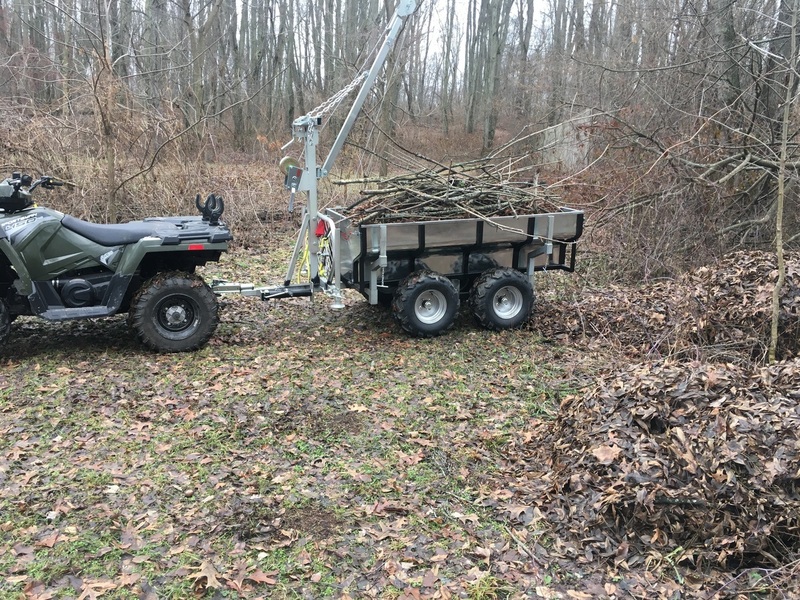 After using my new woodland mills off road trailer prior to nb moose season and during our moose hunt, retrieving our moose with the use of the boom to load moose into trailer was wicked!! A must have for any outdoors enthusiast. 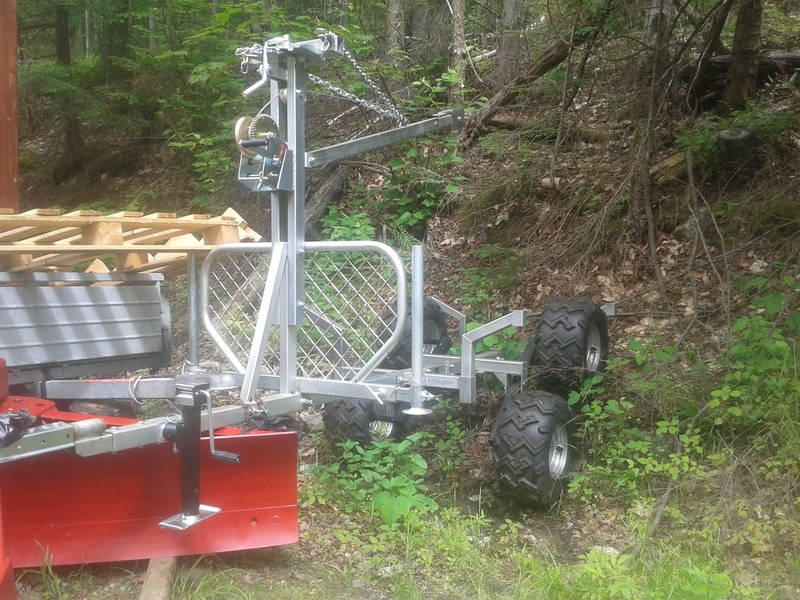 It works well for the hobby farm or weekend tree farmer. I bought it to thin out small trees of an area I want to replant. It's easy to overload small trailers like this so use caution. Excellent achat pour 1799$ ! J'aurais aimé que la main ne pivote pas aussi facilement lorsqu'on la manipule à la main, mais sinon, c'est une remorque très bien faite, facile à assembler, il ne manque rien. La boîte qui s'enlève est un plus. Je l'ai achetée pour mon côte à côte, et en prévision d'un moulin à scie... N'hésitez pas ! Livré à la porte chez moi. Showing 1-10 reviews of 76.